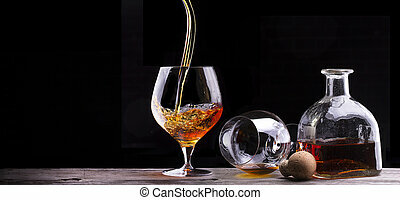 Cognac or brandy on a wooden table. 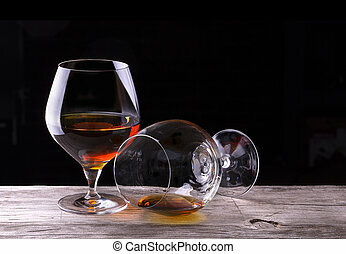 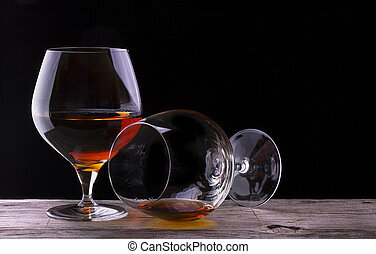 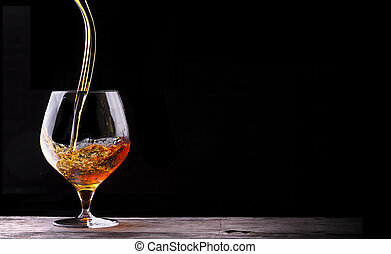 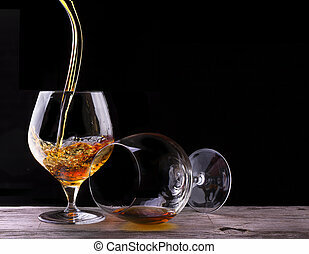 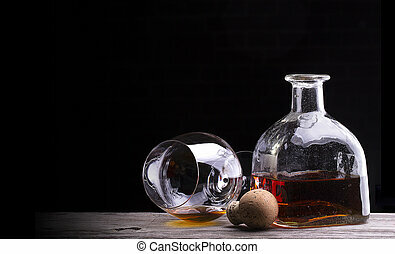 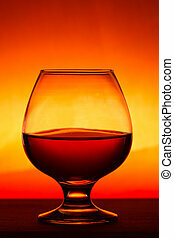 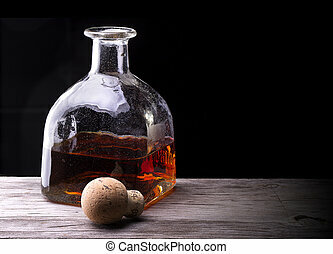 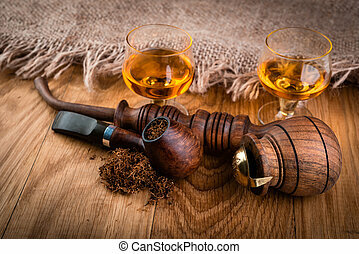 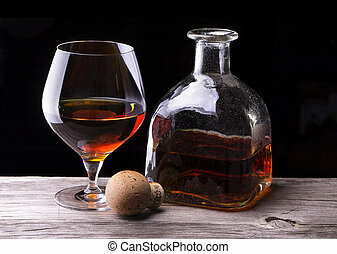 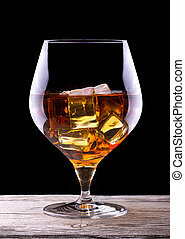 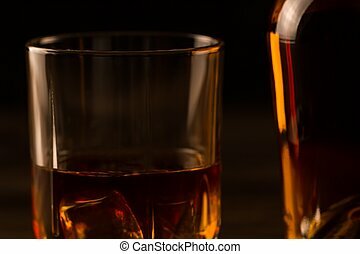 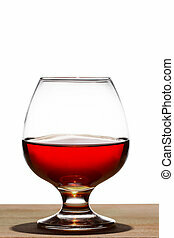 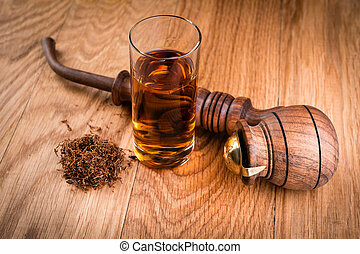 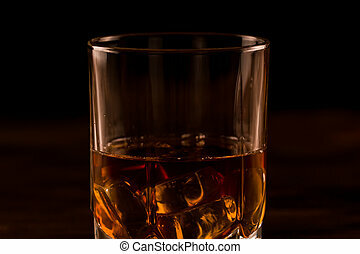 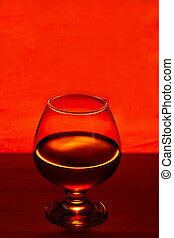 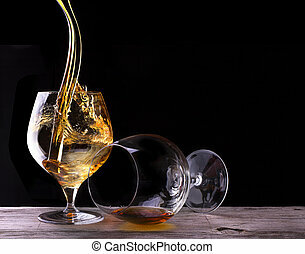 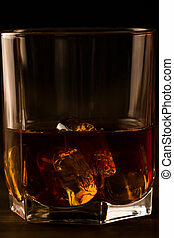 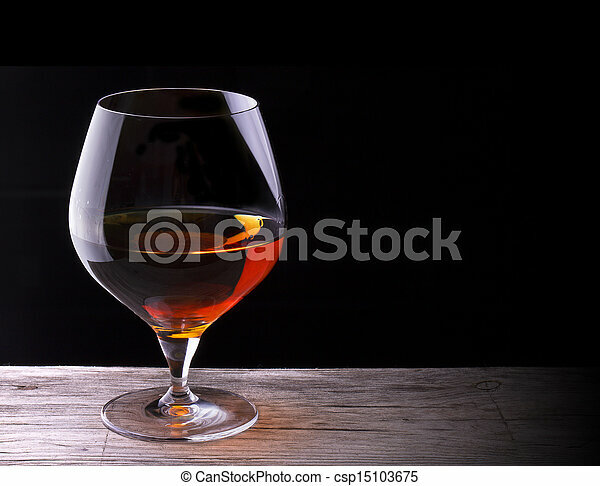 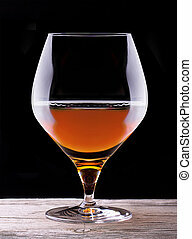 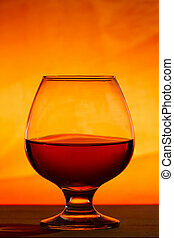 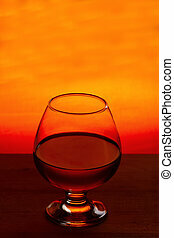 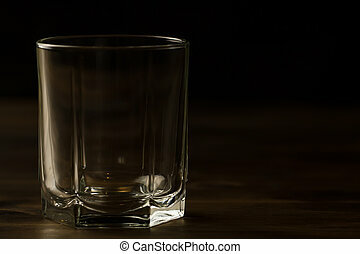 Cognac or brandy on a wooden vintage table with black background. 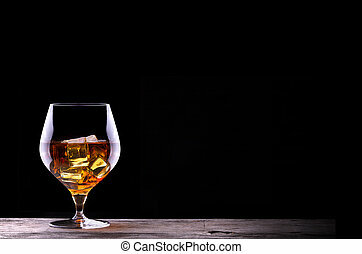 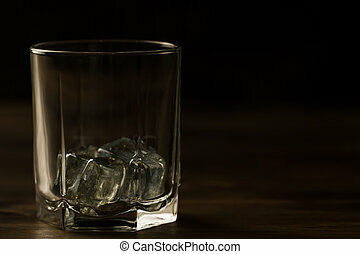 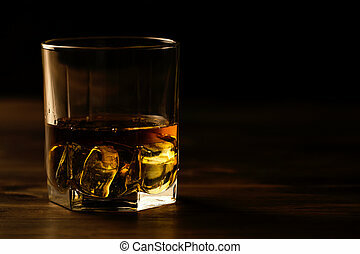 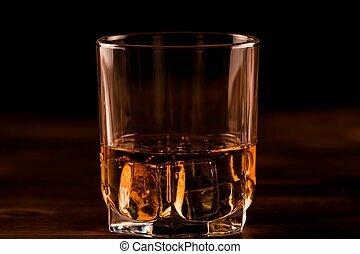 glass of whiskey with ice on a wooden table. 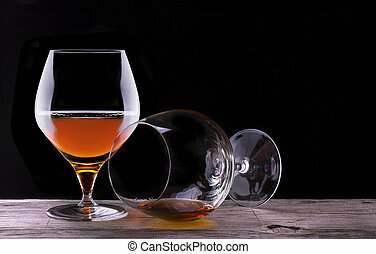 Cognac, brandy.